It has been a quarter century since the term ‘coffin birth’ or ‘sarg geburt ’ appeared in the medical literature. This old phrase was used to describe an unusual grim parody of one of life’s greatest moments. It happens when a pregnant woman spontaneously delivers her child after her own death. The gas that builds up in her decomposing body can build up enough pressure to propel the baby through the birth canal. This odd occurrence has taken place throughout history, albeit rarely. Scientists have even found paleopathologic evidence of a case of coffin birth in Europe of the dim past, before recorded history. Today, modern embalming customs have made coffin birth so rare as to no longer be described in typical medical textbooks. Numerous documented cases of postmortem fetal extrusion were described in the medical compendium Anomalies and Curiosities of Medicine, first published in 1896. The earliest presented case occurred in the year 1551 when a pregnant woman was tried and hanged by the courts of the Spanish Inquisition. Four hours after her death, and while the body still hung by the neck, two dead infants were seen to fall free of the body. This is unusual for the short amount of time elapsed between death and the postmortem delivery. As no information is given regarding other ambient circumstances, it is unclear whether the onset of putrefaction was accelerated, or if other causal factors were at work. In the city of Brussels, in 1633, a woman died in convulsions and three days later the fetus was spontaneously expelled. In Weissenfels, in 1861, postmortem fetal extrusion was observed sixty hours after the death of a pregnant woman. 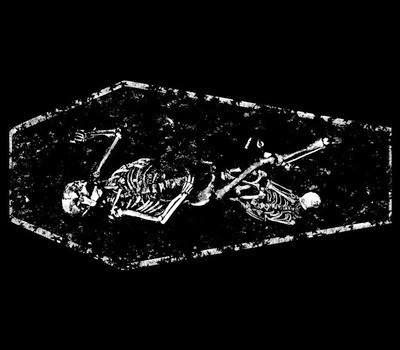 Most cases occurred prior to burial; in some of these, the body was in the casket while in other cases the body was still on its deathbed or on a bier. During the late 19th century, modern embalming techniques were developed, whereby preservative and disinfectant chemical compounds (such as formaldehyde) are pumped into a body, flushing out the body's natural fluids, and with them the bacteria that flourish during putrefaction and generate the gases that comprise the active force behind the expulsion of the fetus. However, the phenomenon was still recognized by medical science and in 1904, John Whitridge Williams wrote a textbook on obstetric medicine that included a section on "coffin birth". In 2005, the body of a 34-year-old woman, eight months pregnant, was discovered in her apartment in Hamburg, Germany. The body was bloated and discolored, and upon initial examination, it was found that the head of the fetus had made its appearance in the vaginal opening. At autopsy, medical examiners found that both the head and shoulders of the fetus had emerged, and concluded that it was a case of postmortem fetal extrusion in progress. The woman, who had given birth twice before, had died of a heroin overdose.The case was unusual and serendipitous, as few medical practitioners have been able to observe and document the progress of postmortem fetal extrusion.